We can design according to user requirements, manufacturing various types of standards, non-standard hydraulic cylinders,long stroke hydraulic cylinder. We are giving the best quality Hydraulic Cylinder to our various clients across the world. To manufacture the hydraulic cylinder we are maintaining high level infrastructure without any compromise. We have different kinds of Hydraulic Cylinders. 1. With Rolling technology, the cylinders are straighter, the surface are harder and its quality is more durable. 2. All piston rod have to go through comprehensive processing: Heat treating Lathing GrindingPolishingHard chrome plating Polishing, this comprehensive processing make the cylinder harder, wearable and acid-proof. 3. Using imported materials for seal kits. C. Assembling in seal clean workshops. A1: We are the manufacturer with Exporting License. Q2: How long have you been in Hydraulic Cylinder industry? A2: Our factory is built in year 2002 and start by manufacturing Hydraulic Cylinder. Q3: How long is your warranty period? A3: We offer 13 months warranty period after on board. Q4: How long does it take to process orders? A4: It usually takes 15-25 days to process. We don’t have stock. Q5: What’s your cylinder PPM? A5: 5000 PPM. We do 100% inspection before delivery. 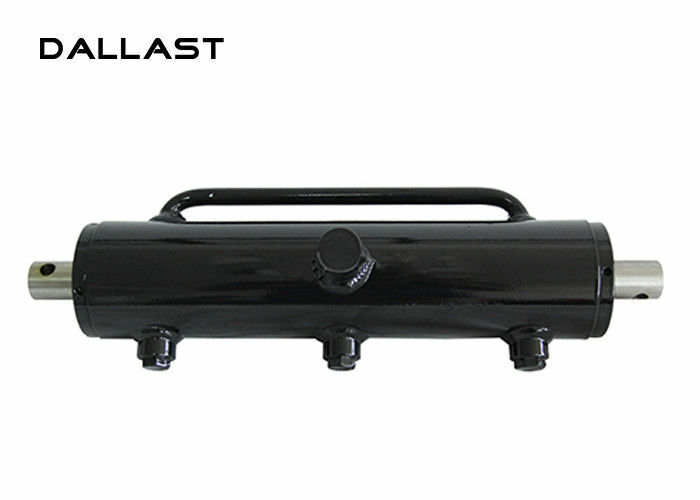 Dallast Technology Co., Ltd is a hydraulic cylinder, hydraulic support rod and hydraulic system research and development design, the main products supporting construction machinery, agricultural machinery, bridges, dump trucks, excavators and other industry facilities, the company mainly to manufacturing, sales and service in one Professional factory. Company products are exported to Europe and the United States at home and abroad. Companies in accordance with the ISO quality assurance system, the production process in every detail of the attention, adhere to the "details determine the success or failure, improve the quality of the brand" business philosophy, do a good job of quality management.